Here are my steps for the week. I actually averaged over my goal of 9,000 steps a day. My current plan is to do cardio on Tuesday (60 mins), upper body on Wednesday, cardio on Thursday (60 mins), a total body workout on Friday, cardio on Saturday (60+ mins), and a core workout on Monday. 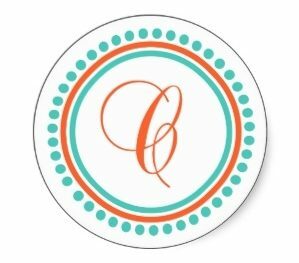 I’m also trying to do a 10 minute-ish Pilates workout each day. I’m failing miserably at my plan though. Sunday – 20 mins stair machine. 40 minutes elliptical. 9 mins Pilates legs. I usually listen to a book while I’m walking, jogging, whatever. This week I finished The Sans Pareil Mystery by Karen Charlton and started A Midsummer’s Equation by Keigo Higashino. My new goal (which shouldn’t really have to be a goal at all, but I have a bit of a sweet tooth) is to avoid snacking. Planned snacks, like going out to ice cream as a treat, are fine, as is fruit or veggies. It’s the 2:00am graham crackers and mid-day cinnamon rolls that I need to avoid. How was your week? 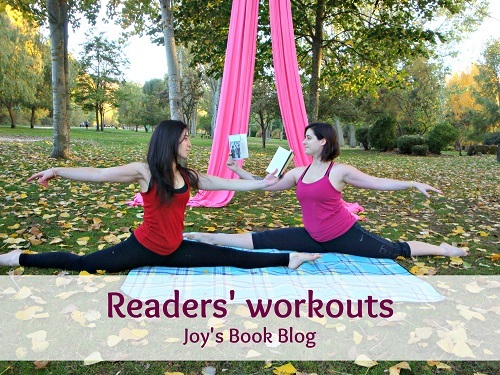 Readers’ Workouts is hosted by Joy at Joy’s Book Blog . 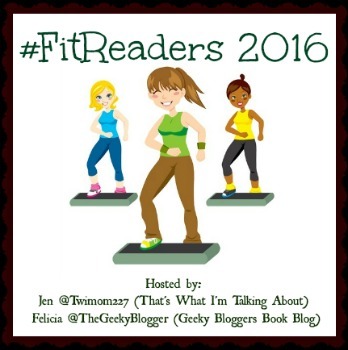 Fit Readers is hosted by Jen at That’s What I’m Talking About and Felicia at Geeky Bloggers Book Blog. I’ve got to break a sneaky snack habit that creeped in this month.